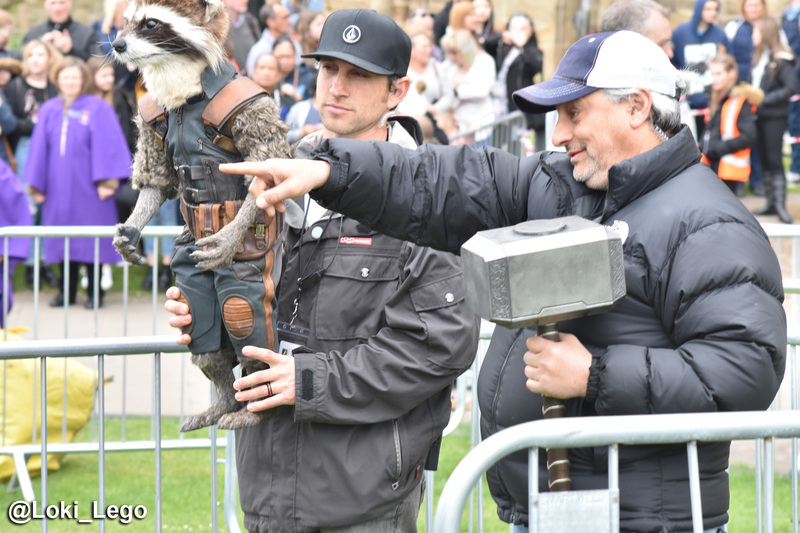 EDIT: This article was posted when I believed the scenes at Durham were being filmed for Avengers: Infinity War, but it is now clear that filming was for Avengers: Endgame! 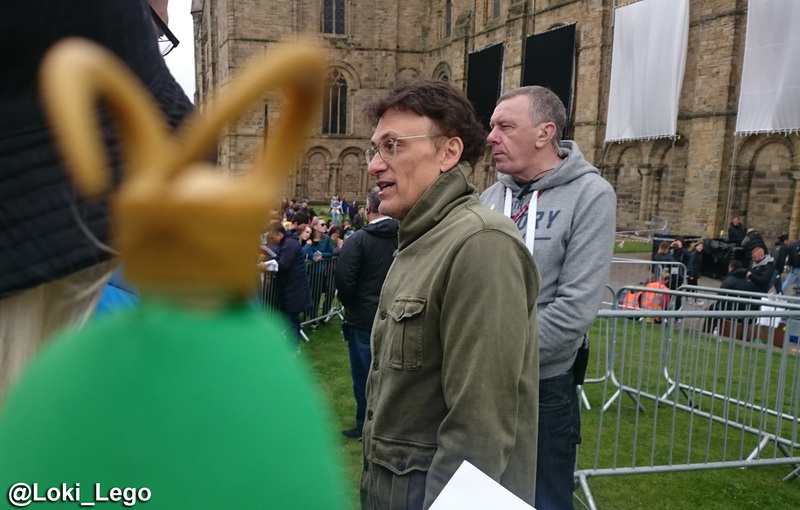 Those who frequent my site often will know that I am a regular visitor to Durham Cathedral, so when I heard that Avengers: Infinity War would be filming there I was almost as excited as the time that I turned the Bifrost on Jotunheim! 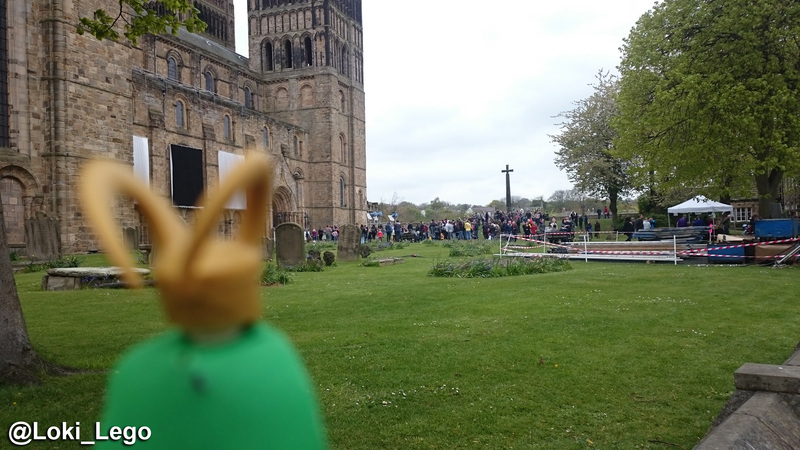 The Cathedral was extremely busy, and Midgardians had come from far and wide. They obviously knew that I would be present. Helpful signs pointed out the way to the set. 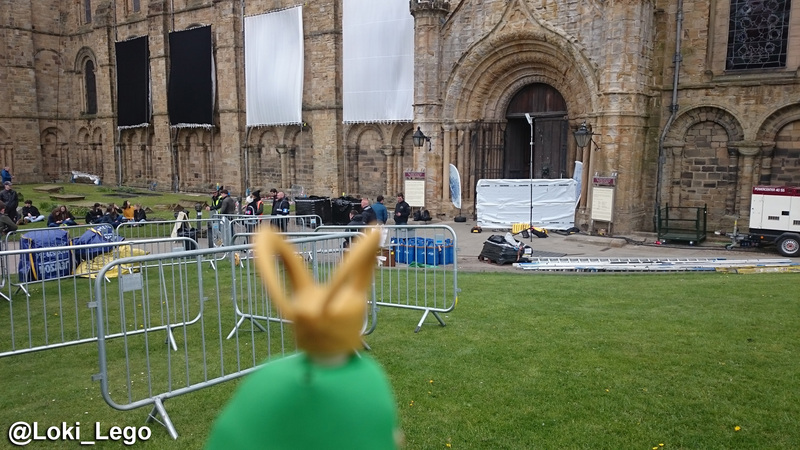 As all the filming was due to take place in the Cathedral itself, I knew that there would little chance of seeing anything. 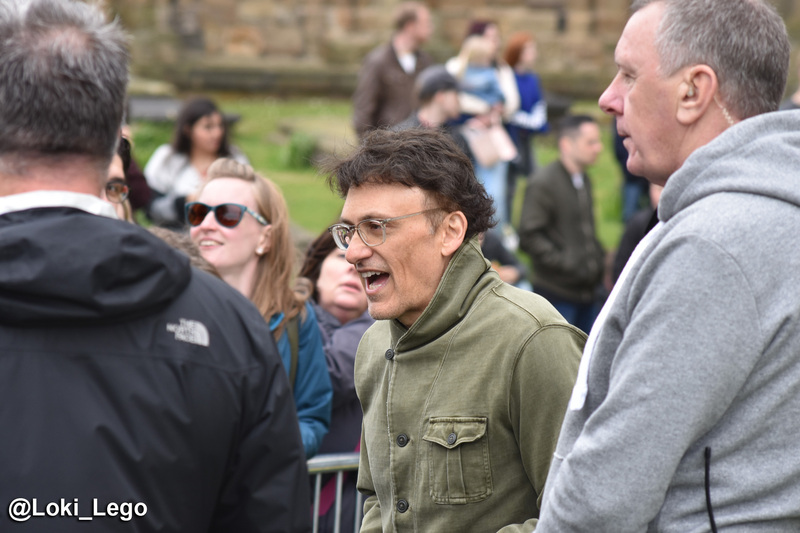 I went along simply to soak up the atmosphere, and to know that when I finally saw the scenes filmed there on the cinema screen, that I was outside that very building… but then a miracle occurred. 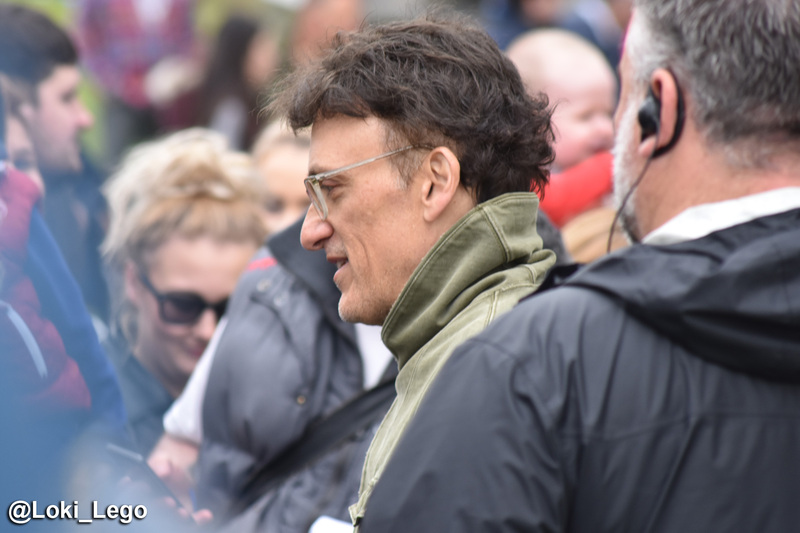 The Cathedral doors opened; a hush descended over the gathered crowd, and Joe and Anthony Russo, the directors of the film, appeared! They made their way over to the crowds who were behind the barriers, and signed autographs and posed for pictures. 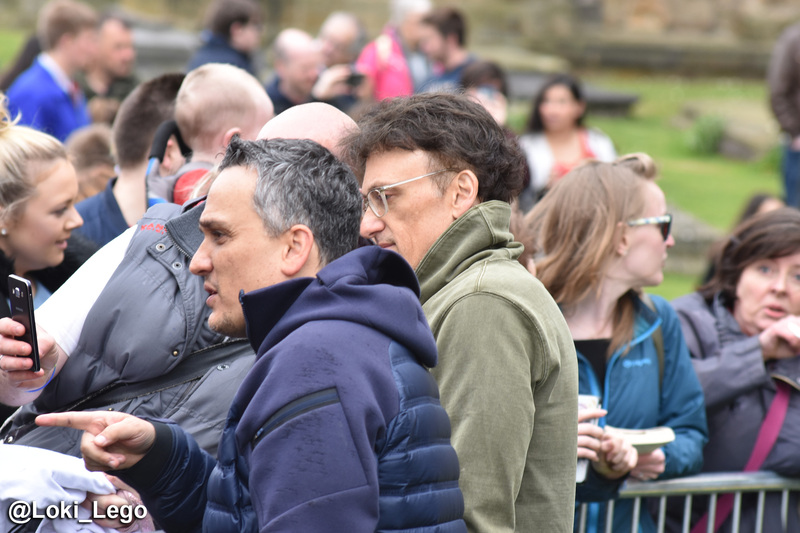 The brothers spent some time chatting with members of the crowd, and were incredibly generous with their time, considering that they are only at the Cathedral for a few short days, and no doubt had a full schedule. 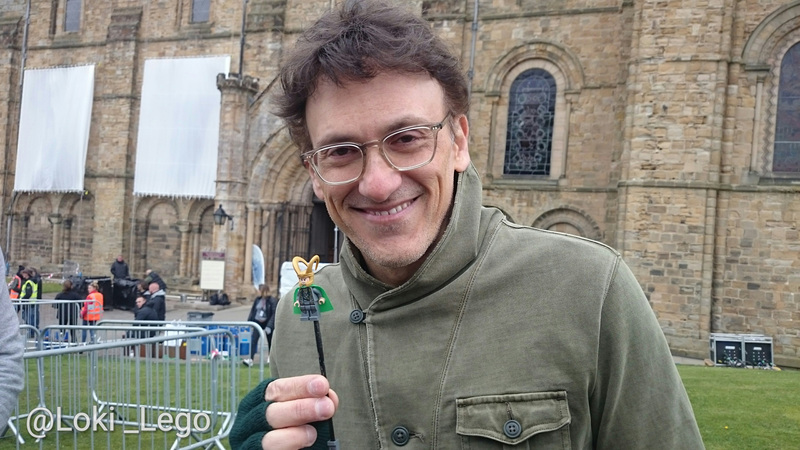 And finally it was time for Anthony Russo to have his audience with me. 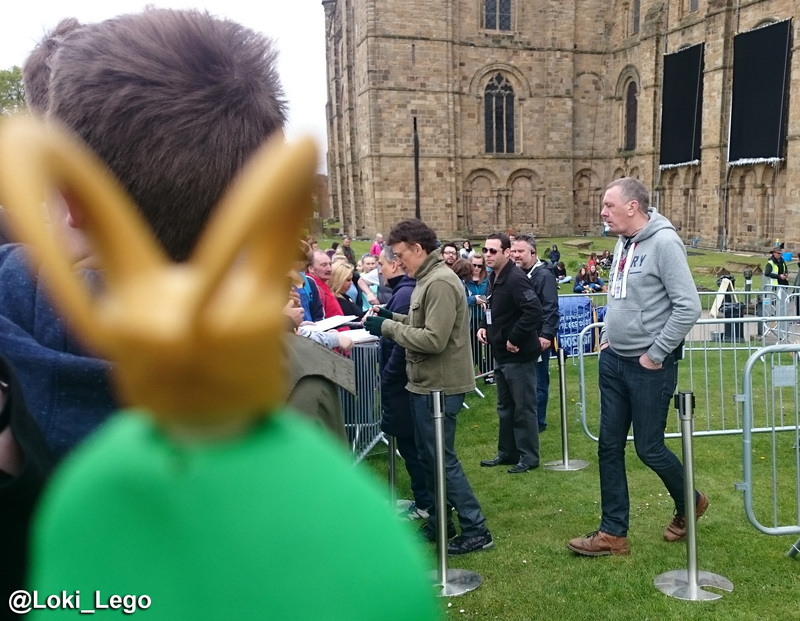 As you can see, he is glowing with pride at meeting the King of Asgard. 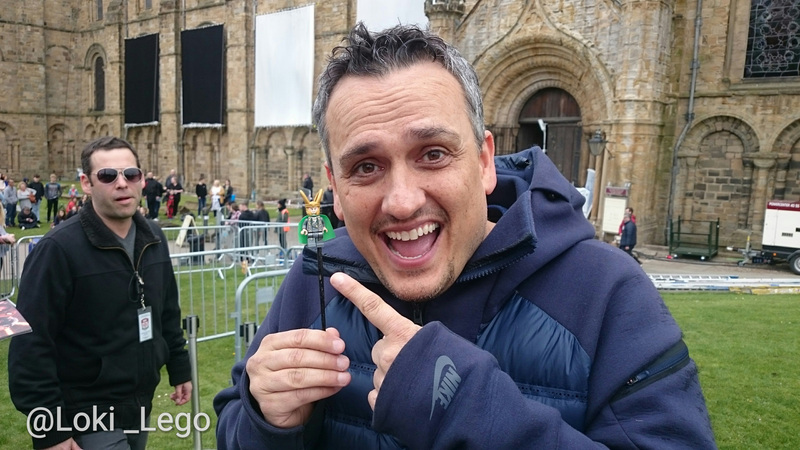 Joe Russo was also excited to be in the presence of my greatness. 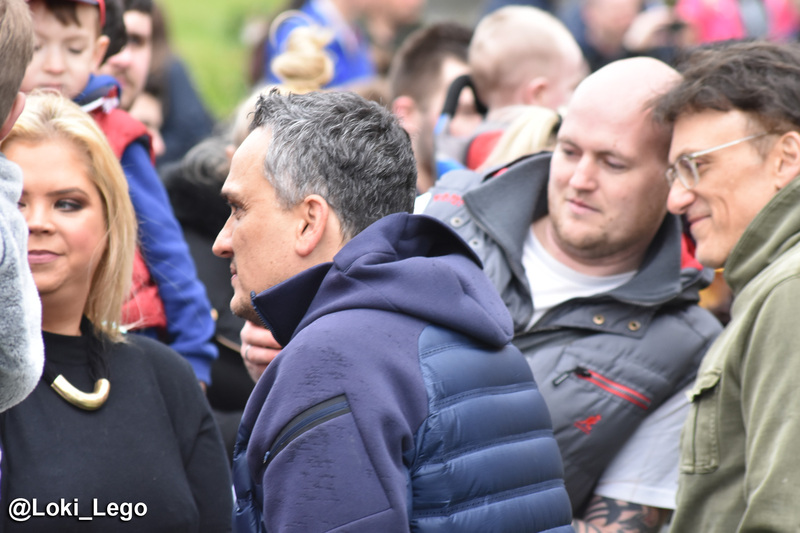 After the directors had left, a man asked the mortals to form a queue, and a small pen was created inside the crowd barriers. 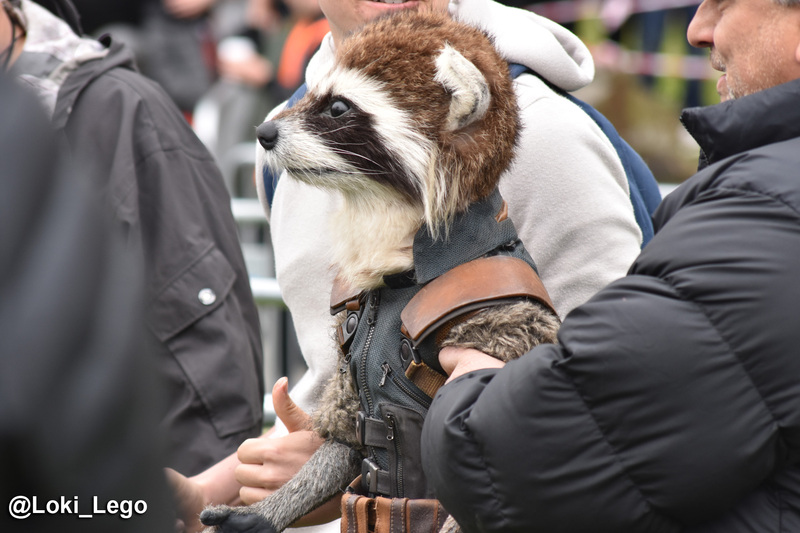 I was shocked and surprised when Rocket Raccoon arrived to pose for photos with the Midgardians! I must speak a brief word about these two gentlemen. 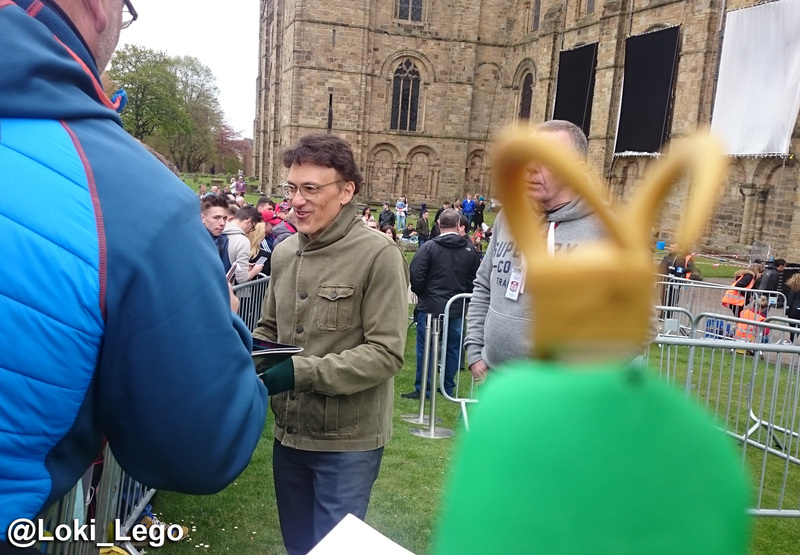 I watched their interactions with the mortals, and saw how they greeted the many children in the photo queue with absolute kindness. If a child was dressed as an Avenger they addressed them by their character name, and I am sure there will be many a youngling who will remember today fondly for a long time. It was heartwarming to watch, and almost made me feel bad that I must declare war upon this realm soon… Almost. 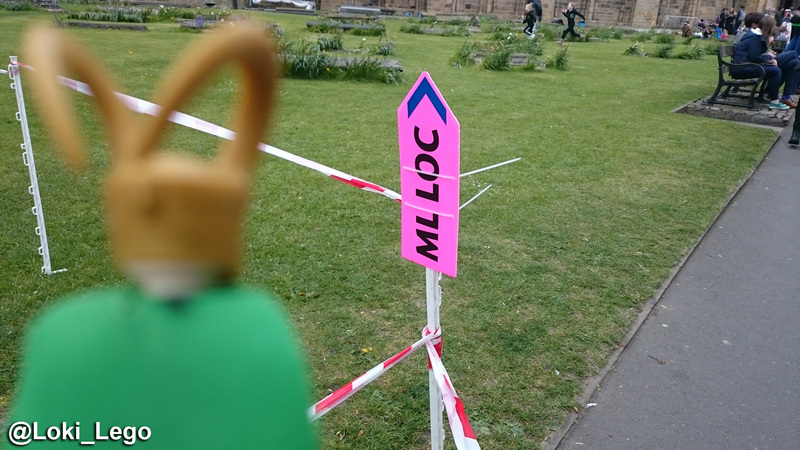 I’m still going to destroy Midgard. I began this day believing that I wouldn’t see anything, and at best might hear a few a few sound effects from inside the building. I expected to be told by security that no pictures would be allowed, and I would leave with naught but red cheeks from the cold. 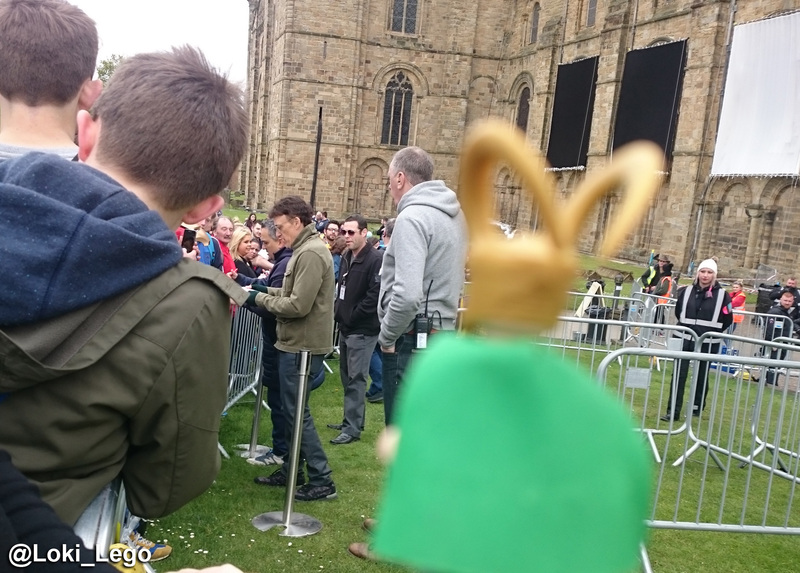 Instead I left with a full camera, the autographs of the film’s directors, and intense feeling of gratitude to Marvel Studios and their wonderful crew for such a magical day. Durham Cathedral is in the north east of England, and a visit to this beautiful place will please all members of the family. 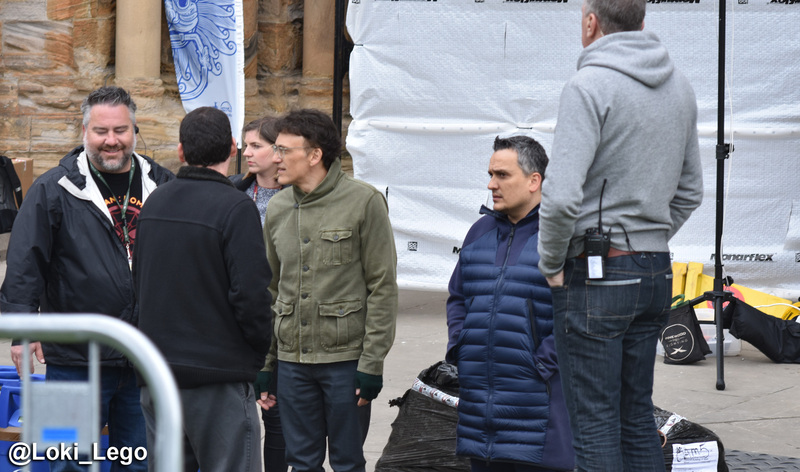 EDIT: This article was posted when I believed the scenes were being filmed for Avengers: Infinity War, but it is now clear that filming was for Avengers: Endgame! 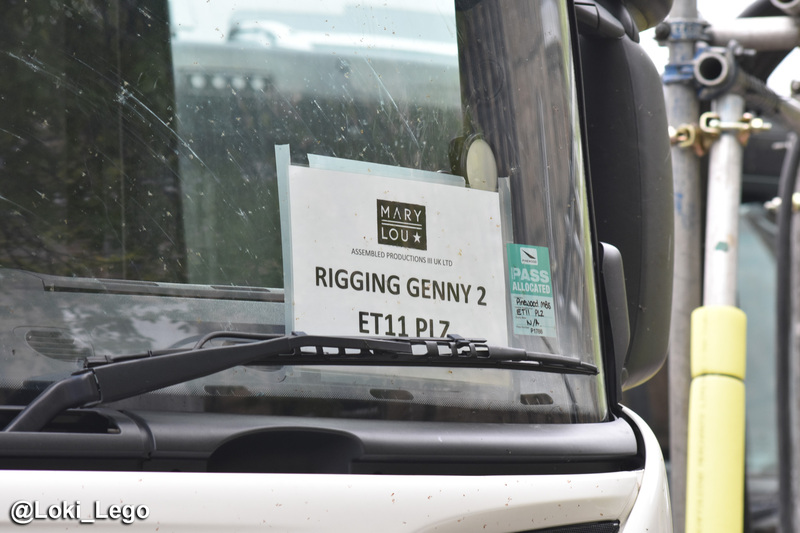 I saw many things on my visit to this set that I would have shared after Infinity War, but I cannot post them till after Endgame is released, as they would be spoilers! 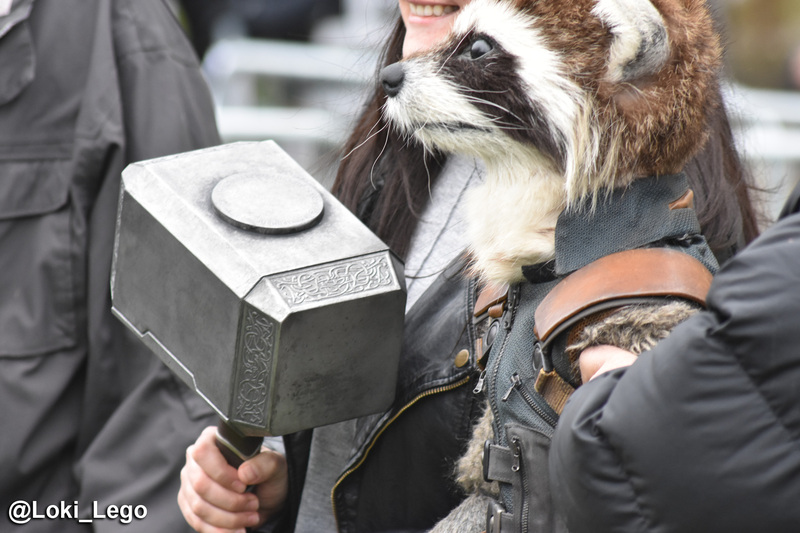 Thor: Ragnarok – He’s a Friend from Work! Very nice, and on Free Comic Book Day as well. I’d said to my wife I hope they do something for it. I’ve been to the set a couple of times and seen nothing like the events above. I’m so pleased for the kids. Typical I wasn’t there… but I did get loads of free comics.